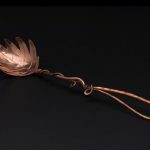 Working with copper feels like a suspended liquid, flowing and working with me to take on the shape that I envision. 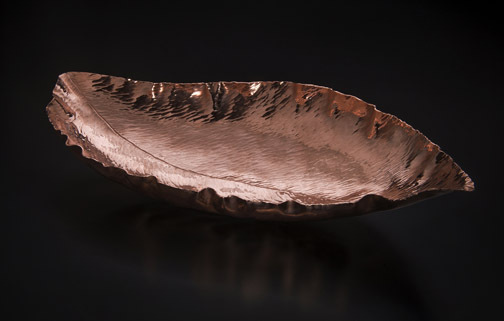 Using natural forms and making functional artwork brings nature into the home. 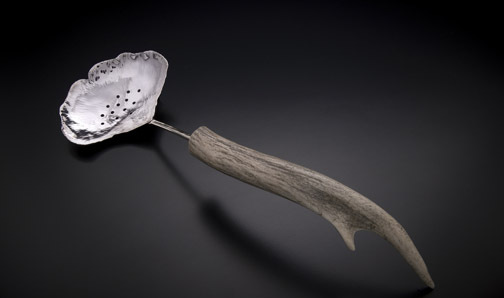 Inspired by my time hiking the Appalachian Trail and my own experiences in nature, I love having the opportunity to explore my art and connect people back to the Earth. 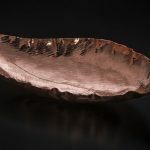 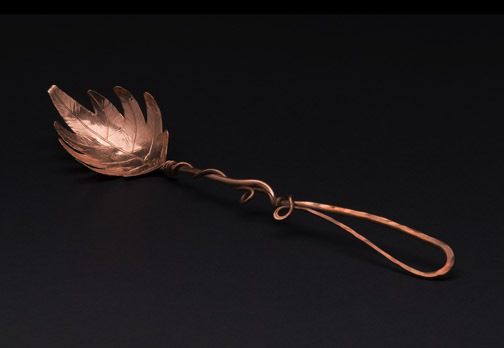 With a background in fine arts and growing up surrounded by historic American silver, my passion for metalsmithing was nurtured by master metalsmith Terry Talley. 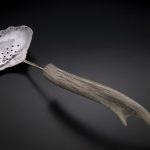 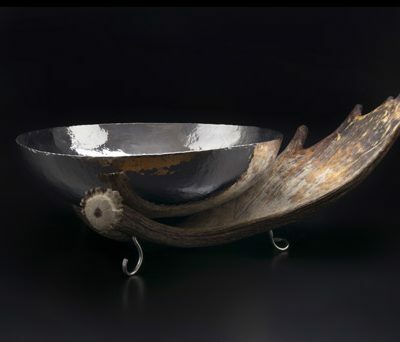 Using the purest available metals and naturally-shed antler sourced in the USA, I start with an idea and feel it out as I work the metal, allowing opportunities to arise as they will–serendipity leading me on the journey!